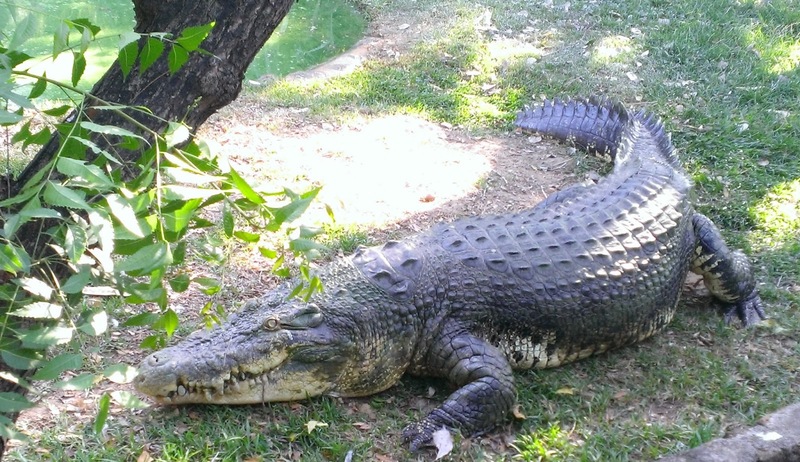 As a youngster, for one who always had a queer fascination of crocodiles, an opportunity to visit the Crocodile Park in Chennai was one not be missed. 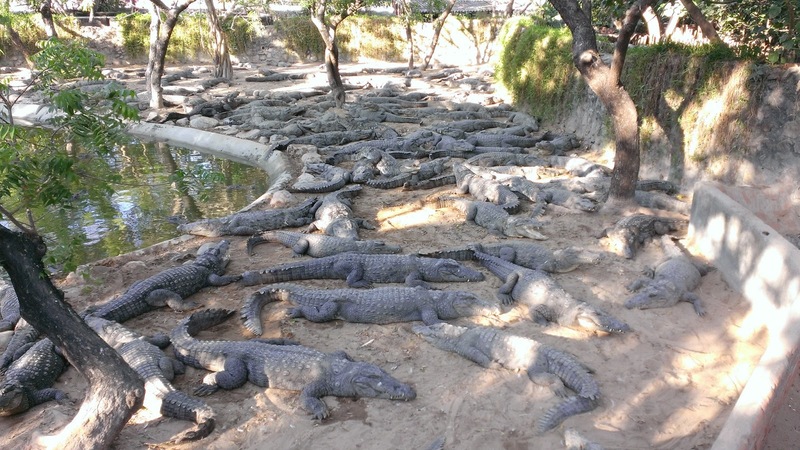 Nearly thirty kilometers outside, on the outskirts of Chennai (on the way to Mahabalipuram); the Madras Crocodile Bank Trust is located off the Bay of Bengal which can be visited any time through the year. The park is similar to a zoo except the inhabitants primarily comprise of members of the ferocious reptilian family with a few other snakes as special exhibits. The intent of the park is not just to invite visitors but behind the scenes they also implement a breeding program and continual care of these creatures (one wouldn’t think they need much care, but humans with ability to destroy) is something which is also their primary agenda. The nice thing about the park is a bunch of volunteers who are pretty much folks studying in colleges or working – essentially anyone who cares about nature can volunteer in the park imparting information and helping out wherever possible. I was mightily impressed by the volunteers and their sincerity and dedication is to be appreciated; one simple act of picking up a strewn plastic wrapper and putting it in the dustbin was all it took to make me an admirer of them. Crocodiles are fascinating creatures. The park has multiple varieties of them from all over the world – Africa, Amazon, Eastern Europe and what-not. 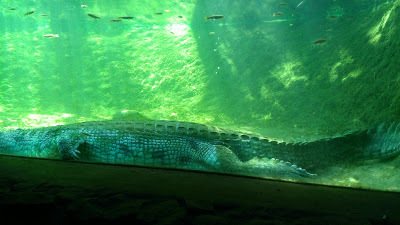 They have around 15-20 big pens housing varieties of crocodiles from 2-3 in some to 200-300s in others. 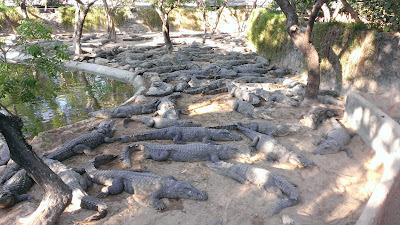 The muggers (or the Marsh Crocodile) are the most common found in India and they have some of the pens with huge numbers of muggers in them. All of them lying about, absolutely anywhere on top of each other, side-by-side in all corners of the pen make for a queasy sight. There were some 200-300 muggers in one of the pens. The other pens are smaller housing gharials, alligators, the salt water crocodiles and many more such species about which I learnt a lot that day thanks to a very helpful guide. They also house a pair of anacondas, a pair of rock pythons (with babies), giant turtles, cayman from the Amazon and other species of the reptile family. Also they have a provision to watch how crocs stay under water. The biggest attraction (literally) is a 42 year old crocodile named Jaws-III who is the largest captive crocodile in India at 16 feet long and fairly heavy-weight too. 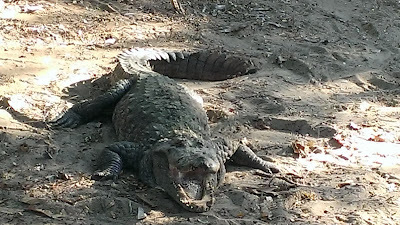 This fella has a pen of his own because of his apparent aggression to allow any other crocodile to come near it; is fed once a week and I was fortunate enough to go on that day when his feeding took place. Apparently he was on a diet, and the zoo authorities also want him to get some exercise because of which his feeding involved tapping him on the head and forcing him to move about and get his food. The park director, an Australian named Colin gave an excellent informative talk while Jaws III was being fed about his habits; and I felt a bit sorry for this middle aged beast which had been in captivity for a long time and possibly no inkling of what it was capable of. 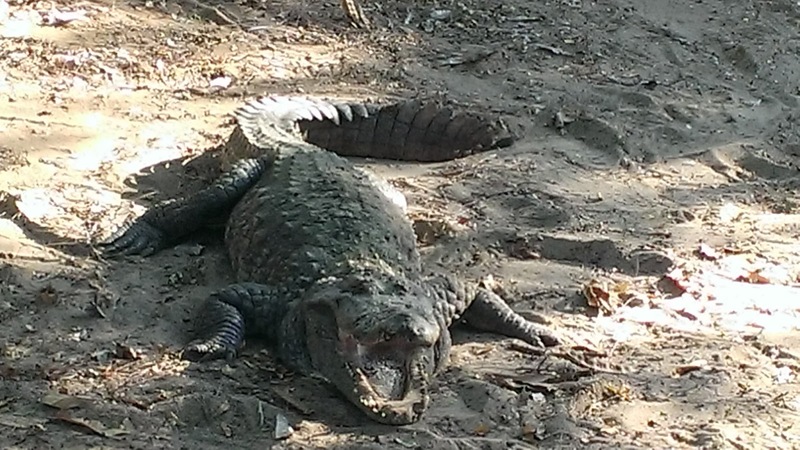 Still, the park is not like a usual zoo; and with their best efforts a lot of crocodiles are escaping harm from poachers and what-nots and absolute credit to them for doing a fabulous and thankless job.